In order to prove the authenticity of a copy of a document, the person seeking authentication must present the original document from which the (photo)copy was made. A photocopy can also be made at the Finnish mission. A Notary Public may certify a copy. 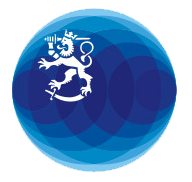 If the party requesting the certification demands that it is issued by a Finnish diplomatic mission, you must apply for it in person at the Mission or at the Honorary Consulate. The certification of a true copy is a notarial service subject to a fee in accordance with the service price list. In order to obtain the certificate, you must book an appointment at the Mission or at the Honorary Consulate.